This unique quilt looks different every time you make it! 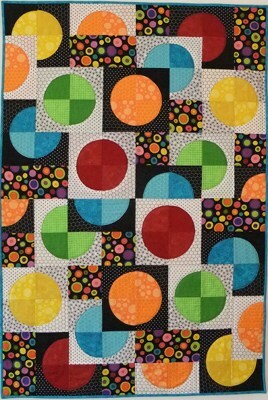 Looks like an Improv Quilt, but it is an easy construction method to assemble the quilt blocks to make it look “Improv”. Easy to read and follow. The illustrations explain each step. Your quilts will be crafty, unique, and creative! You can make it in any size from as small as a hot pad, place mat, or table runner to as large as a full, or queen, or king size quilt size! You can use new fabric or you can use up your scraps. It is a simple way to learn how to be crafty and creative. Makes sewing and quilting fun! Pattern instructions for 3 sizes: Lap size, Twin Size, and Full Size — All in one pattern. 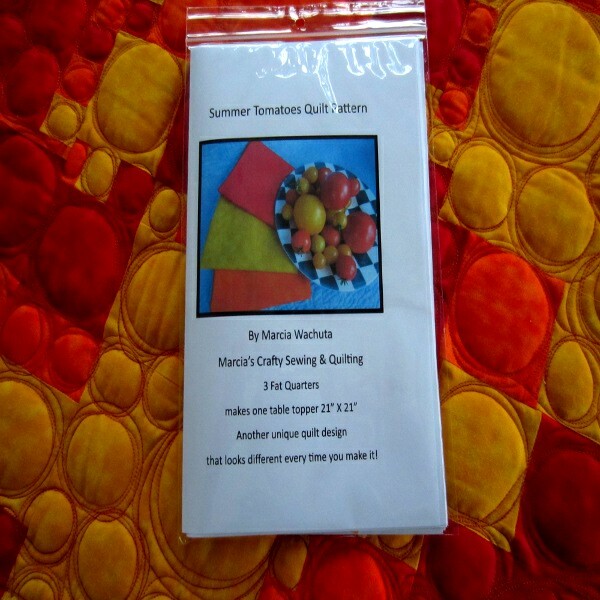 The Summer Tomatoes Quilt Pattern – Full Color Photo instructions. 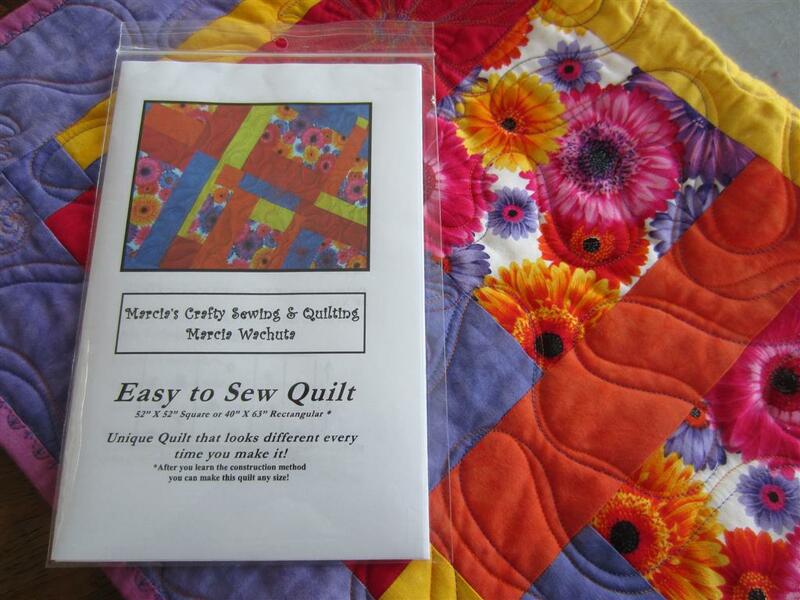 This is fast and easy way to combine three colors to create a quick and easy quilt. Looks different every time you make it! 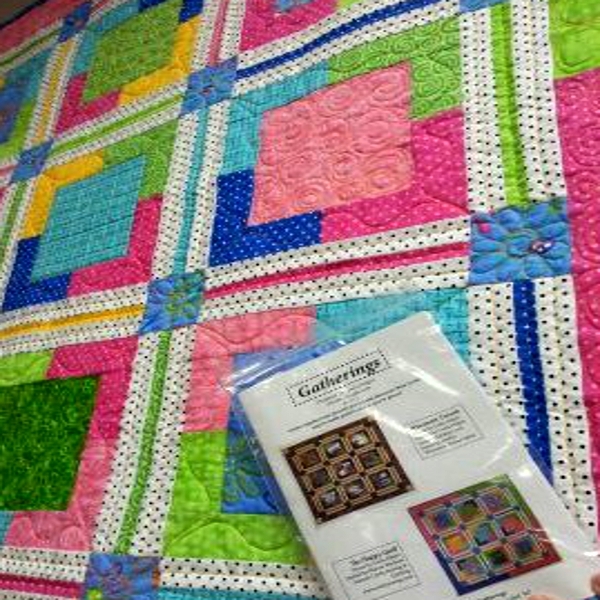 Table topper measures 21″ X 21″ but you can multiply it to create larger quilts. The colorful tomatoes from my container garden inspired this quilt. This construction method teaches you a “simple orderly” way to create texture with fabrics. 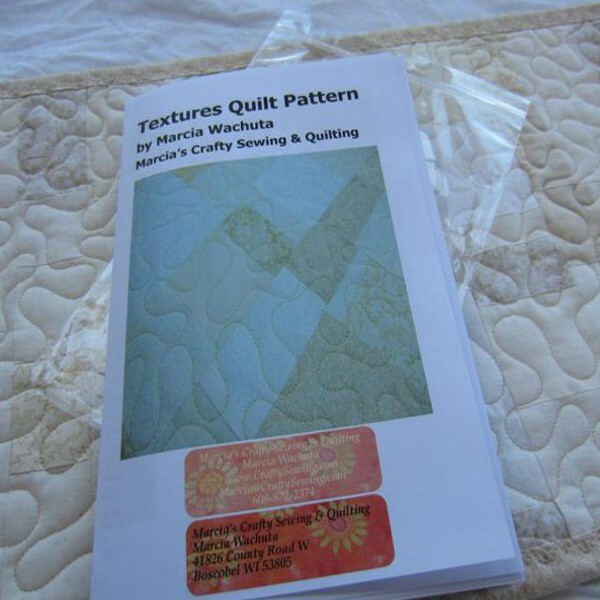 Learn how to create textures with your fabric for a quilt top. Create a texture background for a wall hanging. Learn this construction method and you can make any size quilt. It’s a NEW Quilt Pattern! Curves can be tricky to piece.Linda designed a pattern that cuts the construction time in half, and increases the accuracy level tremendously! It’s a wall hanging quilt pattern that can be increased to make a larger quilt. I think you will love her new method for doing curves as much as I do! Gather up your scraps to create this lovely quilt. It features 9 blocks with complimentary borders to highlight each block. 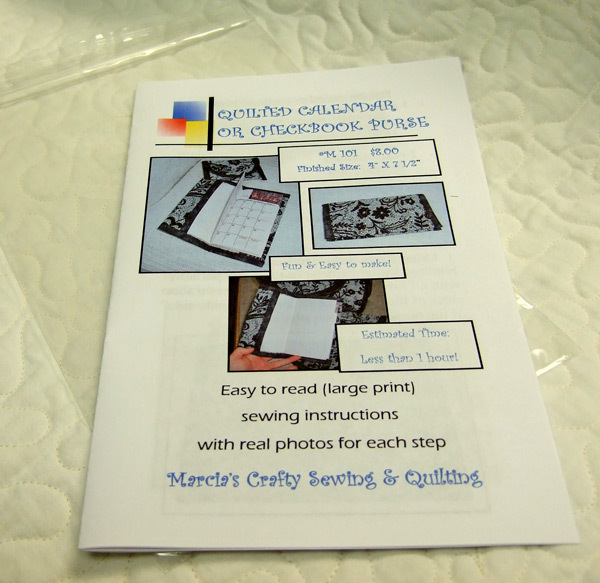 Pattern for sewing a quilted calendar or checkbook purse. Easy to read with large print and real photos for each step. Instructions explain how to sew on the all machine embroidery binding. Embroidery stitches on your machine not needed to make it. You can ZigZag Stitch or straight stitch to attach the binding. 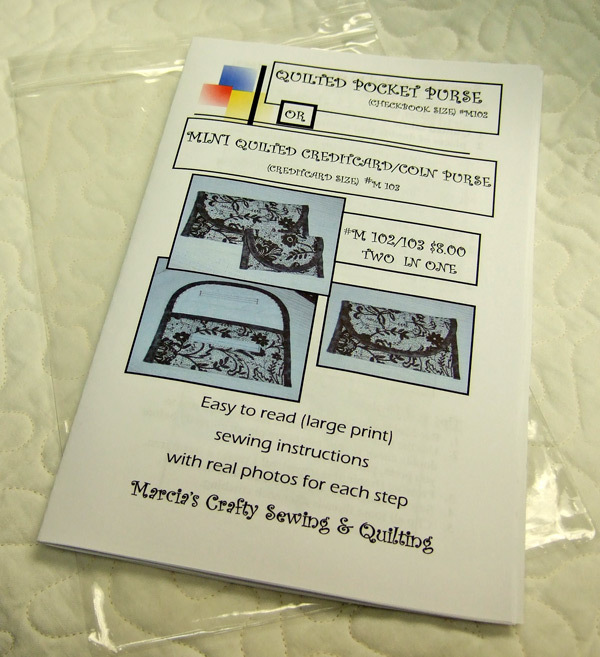 Pattern for sewing a quilted pocket purse or a mini quilted credit card/coin purse.